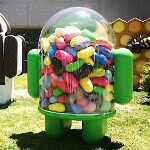 So what is HTC's game plan as far as updates to Android 4.1 are concerned? The HTC One X and HTC One S are definitely in. After those two, the Taiwan based manufacturer will take a look at other models launched in 2012 to see if any of them can handle Android 4.1. After those models have been exhaustively studied-and only then-HTC will examine its 2011 devices to see if any of them can qualify to be Jelly Bean material. HTC says that if you own one of their 2012 devices with 512MB RAM, there is a better shot of a full Beatles reunion than of you getting Android 4.1. OK, they didn't say it exactly like that, but you catch the drift. There have been two models launched this year with 512MB of RAM, the HTC One V and the HTC Desire C.
HTC says its Android 4.1 update will come with HTC Sense 4+. Check out the sourcelink for HTC's answers to frequently asked questions about Android 4.1, like why it takes so long for updates to reach your phone. There are a number of buzz words and catch phrases in HTC's response. As you read their reply, think of a pinball machine with the ball bouncing off the bumpers, "Our goal is to make sure that an upgrade provides an improved customer experience (BING!) and that means a high standard of quality (BING!) for hardware compatibility, adapting device or carrier specific customizations, testing by HTC and partners (BING! ), addressing device hardware constraints, and many other factors." 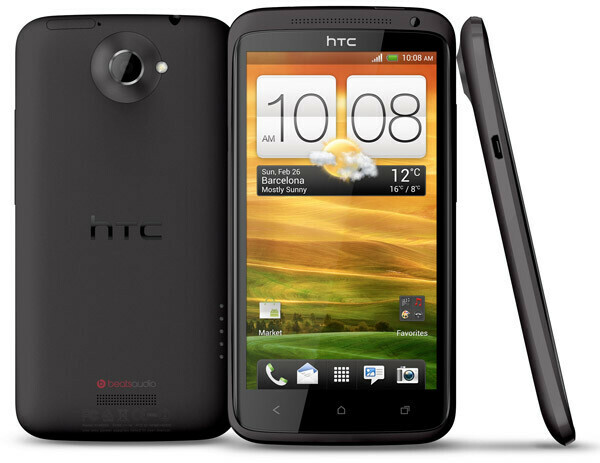 Hopefully, your HTC device will make the cut and sometime in the not too distant future, will be powered by Android 4.1. Lost in all this though, is that the most recent Android OS build is Android 4.2. Better than Motorola's plan who refuses to update any 2011 phone. Not Quietly! There are many Htc phones.... ICS-capable not being updated! Let's hope this is not the case for JB. check the HTC website, look for RUU (ROM Upgrade Utility), some of the phones are not updated through FOTA, but rather RUU.. My desire S is not updated to ICS, although it is included in the ICS update map, but then HTC said that the update, along with the ICS kernel are out in HTCDev.com Incredible S is updated through RUU as well.. I'm only saying.. I don't know about DHD, DZ, etc.. All I know is that some of the phones that are promised ICS might get it through RUU method..
Then why waste your time comenting? You think it's only android that becomes more RAM hungry? Every piece of software since the computer was invented that goes through enhancements and upgrades will always use up more RAM due to new features. Why do you think low end PC's now come with 2-3 gigs of ram as opposed to 128mb like they did 10 years ago? This isn't apple who's updates have like two new features. Android OS has new elements about the it that require more power. Google now pushing you cards, the expandable notifications, the camera showing the camera view while navigating to your past pictures. The photo sphere feature and implementing project butter etc. IOs brought what ,a map app, decline call with message and what elese? Apple doesn't add features at the rate android does hence it does not need that much ram. Buy at the end of the day. With technology moving at a fast rate . why do you want an Os that stagnates? Yeah, typical of HTC to simply leave out devices they consider low end from an upgrade. I dislike this brand so much now. The HTC one V was released in 2012 darn it! You can't support your own product that beds less than a year old? Samsung did the same thing. Stop crying already. Hell Samsung still release phone with Gingerbread. name one 2012 phone that came with Gingy. I dare you. My dad's phone the Samsung Galaxy S Blaze 4G.